The magi of the ancient world were the priesthood of the Zoroastrian religion. As Plato noted, magic (mageia) refers to "the Magian lore of Zoroaster" ( Alchibiades 1.122). The baresman (Phl.barsom), or sacred bundle of twigs (or "slender wands"), is a ritual implement which has played an important part in Zoroastrian religious practices since prehistoric times. According to Kotwal and Boyd, the baresman is an "ancient Indo-Iranian emblem of seeking the Holy", and it "establishes a connecting link between this getig [material] world and the menog [spiritual] realm. The barsom is, as it were, the conduit through which the archetypal principles and powers manifest their presence and receive the offerings." (A Persian offering, 1991, p. 6, 10; words in square brackets are mine). It is also an instrument through which one acquires the sacred power (op. cit. p. 23). Perhaps then it is also a conduit for channeling the power outwards, and thus is a prototypical 'magic wand'. The baresman is traditionally made of tamarisk trigs, although in modern times metal rods have been substituted. Pliny and Apuleius both attest to their use. Homer (in the Odyssey 11.14ff) and Virgil both describe the archetypical sorceress, Circe, as using a magical wand. The relevant passage in Virgil was noted by Agrippa in his Occult Philosophy Book 1, chapter 41. It is also cited by Eliphas Levi Key of the Mysteries, part 4, chap 1. IamblichusIamblichus (c. A.D. 250-325), one of the more important Neoplatonic philosophers, discussed magic in general in his On the Mysteries. In it he mentions the prophetess holding a staff or wand, invoking the divinity. (Mysteries of the Egyptians, chapter 7.) Agrippa also cites this passage in OP3.48. Bâton pour toutes les Opérations.Bâton pour les Opérations de Venus. In Le Grand Grimoire the main ritual implement is called la baguette mystérieuse, ou la Verge Foudroyante (the mysterious wand, or blasting rod) "which causes the spirits to tremble; which God also used to arm his angel when Adam and Eve were driven out of the earthly paradise; wherewith, finally, he smote the rebellious angels, precipitating their ambitions into the most appalling gulfs by the power of this very rod -- of this rod which collects the clouds, disperses tempests, averts lightning, or precipitates each and all upon any portion of the earth at the pleasure of its director." (tr. Waite, BCM) It is made of "wild hazel which has never borne fruit; its length should be nineteen and a half inches" with a forked end and magnetized steel caps on the pointed ends. According to Franz Bardon (1909-1958), one of the most important occultists and magicians of the twentieth century, "the most important aid in ritual magic is, and always will be, the magic wand." Grillot de Givry ( Witchcraft, Magic, and Alchemy, p. 308) shows a magical operation which features a "wand of poplar-wood, 'half without bark'." According to Franz Bardon, "the wood of an oak or an acacia, too, is an excellent material for making a magic wand." This wood is specified in the Book of the Sacred Magic of Abramelin the Mage. The wand of the magician may be made of any nut wood according to the Key of Solomon. According to Agrippa (OP1.26), almond and other woods of nut trees are associated with the planet Jupiter. Levi recommends the magic wand be made of almond or hazel. Apple Sacred to Jupiter (Agrippa, OP1.26). The druidic wizard Mannanàn Mac Lir carried a wand of apple ( Peter Berresford Ellis, A Brief History of the Druids, New York, Carroll & Graf, 2002, p. 249.). Sacred to Jupiter (per Agrippa, OP1.26). According to the Key of Solomon box and oak have "some quality referring especially unto the spirits" of Jupiter. According to MC this is a sacred tree associated with the zodiacal sign of Libra. Sacred tree associated with the Zodiacal sign of Aquarius (MC).Cane (L.arundo donax)The staff of the magician may be made of cane according to the Key of Solomon. According to the Key of Solomon cornel and cedar have "some quality referring especially unto the spirits" of Mars. Sacred tree associated with the Zodiacal sign of Leo (MC). According to the Key of Solomon cornel and cedar have "some quality referring especially unto the spirits" of Mars.CypressUsed to make a magic circle for the experiment of the Black Hen (Fr. poule noire, It. gallina nera) found in several grimoires. Sacred to Jupiter (Agrippa, OP1.26). Sacred tree associated with the Zodiacal sign of Scorpio (MC). Ebony is named as the wood of Hermes in one ancient Greek spell (Faraone, p. 202.) This wood is specified by Trithemius in his treatise on invoking angels to appear in a crystal. The Egyptian king Nectanebus used a rod or wand of ebony along with magic formulae to animate models of his enemies and attack them. (Budge, 1930, p. 488; 1971, p. 92.) An Ebony wand is used in the Graeco-Egyptian spell PGM I.335 (Betz p. 12).Elder or elderberry (L.sambucus)The staff of the magician may be made of elder according to the Key of Solomon. Grimorium Verum specifies a wand of elder should be used in preparing the parchment, and is also used in preparing the pentacles and magic rings. According to the method of Abognazar a special staff of elder is used for operations of Venus only. According to Franz Bardon, "the wand made of elder-wood, proves, on account of its analogy to Saturn, especially efficient when calling up or evoking elemental spirits and demons." Sacred tree associated with the Zodiacal sign of Pisces (MC).Fig, WhiteSacred to Jupiter (Agrippa, OP1.26).HazelMultiple sources attest the use of Hazel for the magic wand, including the Key of Solomon, Weyer, Goetia, Grand Grimoire, and Levi. 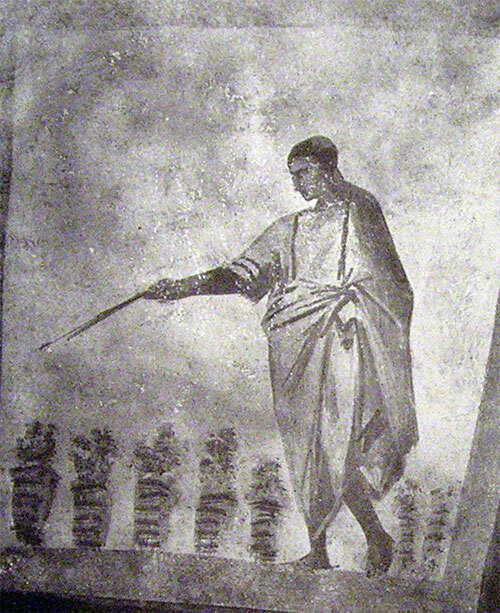 According to the Sworn Book of Honorius (Chap CXXXII), the magician's wand or staff is made of laurel or hazel. Per Agrippa, sacred to Mercury, and also to Jupiter (OP1.26 and OP1.29). According to MC this is a sacred tree associated with the zodiacal sign of Cancer. According to the Key of Solomon hazel has "some quality referring especially unto the spirits" of Mercury. Grimorium Verum specifies wands of hazel and elder should be used in preparing the parchment. The Grand Grimoire includes a divining method using a hazel rod or wand. According to Bardon, "hazelnut or willow are to be used for a wishing-wand. The wishing-wand is a modification of the magic wand." Holly is the whitest of all woods, and has been used in making piano keys. It was considered sacred by the druids, and played a part in the magic of the Greeks and Romans. It was especially suitable for divination. In early Europe, holly and other thorny plants were believed to repel all evil spirits. (Gale, p. 2.) The same apotropaic properties were noted by Pliny the Elder (23-79 CE). Sacred to Jupiter (per Agrippa, OP1.26). A rod of this material is used in the operation of the magic garters, according to Abognazar. Sacred to Jupiter, according to Agrippa (OP1.26).JuniperAccording to the Key of Solomon juniper and pine "some quality referring especially unto the spirits" of Saturn. According to the Key of Solomon myrtle has "some quality referring especially unto the spirits" of Venus. Marvin Meyer's book Ancient Christian Magic includes a spell which involves a branch of myrtle held in the right hand (p. 272). The use of a Myrtle branch is also found in the Graeco-Egyptian spell mentioned above (Betz, p. 5.) According to MC this is a sacred tree associated with the zodiacal sign of Taurus. Sacred to Jupiter, according to Agrippa. According to the Key of Solomon box and oak have "some quality referring especially unto the spirits" of Jupiter. According to Franz Bardon, "the wood of an oak or an acacia, too, is an excellent material for making a magic wand. "OleumSacred tree associated with Jupiter, according to Agrippa, OP1.26. Sacred to the Moon and Jupiter (Agrippa, OP1.24, OP1.26). Sacred tree associated with the Zodiacal sign of Aries (MC). Wands of olive are also found in the Greek Magical Papyri (e.g. Betz, p. 109.) According to Butler (p. 145) Casanova (1725-1798) used a magic wand made of olive wood, approximately 18 inches long.PalmA twig of palm is held in the right hand during a ritual described in the Sixth and Seventh Books of Moses (T2). Sacred tree associated with the Zodiacal sign of Sagittarius (MC). According to the Key of Solomon juniper and pine "some quality referring especially unto the spirits" of Saturn. According to MC this is a sacred tree associated with the zodiacal sign of Capricorn. Sacred to Jupiter (Agrippa, OP1.26).PomegranateThis wood is also mentioned as acceptable for the baresman in Zoroastrian ritual. Sacred to Jupiter, according to Agrippa. Grillot de Givry (Witchcraft, Magic & Alchemy, p. 308) shows a magical operation which features a "wand of poplar-wood, 'half without bark'." This wood is specified for the staff of the magician according to La Vera Clavicola del Re Salomone . Magic wand made of Walnut -- "La baguette magique de pouvoir sur une légion de démons." According to the Key of Solomon willow has "some quality referring especially unto the spirits" of the Moon. According to Bardon, "hazelnut or willow are to be used for a wishing-wand. The wishing-wand is a modification of the magic wand.... In making magic wands willow twigs may also be used for any type, for the willow is a very good fluid condenser." Giordano Bruno's third image of Venus carries a willow wand (De Imaginum Compositione (1591) Book 2, ch 13.Wormwood Used in Graeco-Egyptian spell PGM III.704 (Betz p. 36). Traditionally considered a sacred tree among the Irish, the yew deeply rooted in Irish folklore. It has long been known to have toxic properties. Stone associated with Venus (Agrippa, OP1.28). Associated with Venus (Agrippa, OP1.28). Stone associated with Scorpio (MC). Stone associated with Libra (MC). Sacred plant associated with the Zodiacal sign of Pisces (MC). Sacred plant associated with the Zodiacal sign of Virgo (MC). Stone associated with the Sun (MC). Stone sacred to Venus (Agrippa, OP1.28). Stone associated with the zodiacal sign Cancer (MC). Stone associated with Capricorn (MC).CockBird associated with Gemini (MC). Sacred plant associated with the Zodiacal sign of Cancer (MC).CopperMetal associated with Venus (MC). According to Pseudo-Bacon, the magical scepter must have affixed to the end a lamin of copper with certain symbols on it. Associated with Venus (Agrippa, OP1.28).CrowSacred bird associated with the zodiacal sign of Sagittarius (MC).CrystalStone associated with Mercury and with Aquarius(MC). Sacred plant associated with the Zodiacal sign of Leo (MC).Date palm used to bind the tamarisk wands of the magi. Sacred plant associated with the Zodiacal sign of Capricorn (MC). Bird associated with Venus and with Taurus (MC). Sacred plant associated with the Zodiacal sign of Aquarius (MC). Bird associated with Jupiter and Leo (MC). Stone associated with Venus and Virgo (Agippa, OP1.28, MC). Sacred plant associated with the Zodiacal sign of Libra (MC). Metal associated with the Sun (MC). Sacred bird associated with the zodiacal sign of Libra (MC). Stone associated with Saturn (MC). Sacred bird associated with the zodiacal sign of Capricorn (MC). Sacred bird associated with the zodiacal sign of Cancer (MC). Metal associated with Mars (MC). Levi recommends a core of magnetized iron. Stone associated with Sagittarius (MC). Stone associated with Venus (Agrippa, OP1.28), or Leo (MC). Herb associated with Jupiter (MC).Lapis LazuliStone associated with Venus (Agrippa OP1.28). Bird associated with Saturn (MC). Metal associated with Saturn (MC). Grand Grimoire recommends metal caps. Bird associated with the Moon and with Aries (MC). Sacred bird associated with the zodiacal sign of Aquarius (MC). Sacred plant associated with the Zodiacal sign of Sagittarius (MC). Stone associated with Mars (MC). Sacred plant associated with the Zodiacal sign of Aries (MC). Stone associated with Venus (Agrippa, OP1.28), also with the Moon and with Pisces(MC). Stone associated with Taurus (MC). Stone associated with Aries (MC).SelenotropeHerb associated with the Moon (MC)SempervivumHerb associated with Saturn (MC)SilverMetal associated with the Moon (MC). Sacred bird associated with the zodiacal sign of Virgo (MC). Bird associated with Mercury (MC). Bird associated with the Sun and Pisces(MC). Metal associated with Jupiter (MC). Stone associated with Jupiter and with Gemini(MC). Gem stone associated with Jupiter (Agrippa). Sacred plant associated with the Zodiacal sign of Taurus (MC). Bird associated with Mars (MC). Sacred bird associated with the zodiacal sign of Scorpio (MC). Sacred plant associated with the Zodiacal sign of Scorpio (MC). Half of the wand is left covered with bark in the method cited by de Givry. Trithemius specifies that the wand should have certain Hebrew characters written in gold.